I have been loyal to the Anastasia Tinted Brow Gel but hello Benefit Gimme Brow. It is a brush-on fiber brow gel. First of all the brush is like a quarter of the size of the Anastasia one and it feels a lot more dense. I think it's best to brush off some of the product when you remove it from the tube first and to build slowly. My brow routine always includes the Hourglass Arch Brow Sculpting Pencil because I have pretty sparse hairs towards the end of the brows so I like to fill in only the ends to help them out a bit. Then I go in with a brow gel to set them in place. 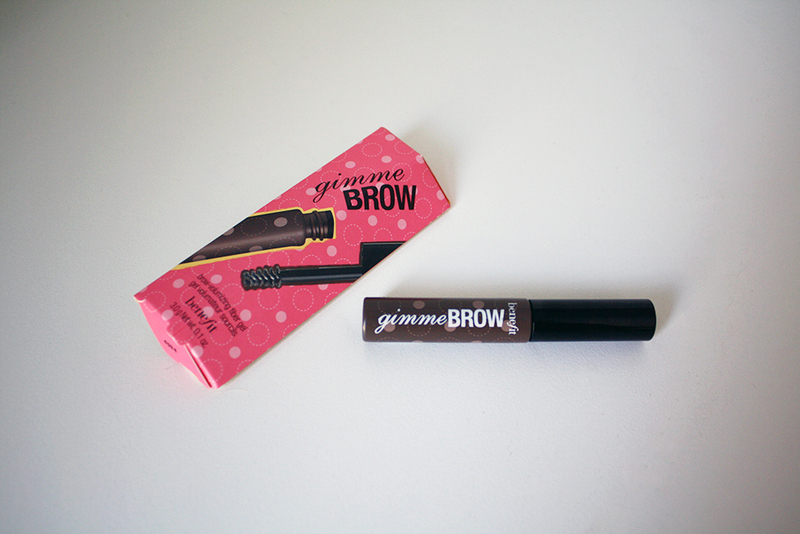 I tested the Benefit Gimme Brow with only this product and nothing else and I was so surprised with the result! They look fantastic and this was so super easy to achieve. Look at the before and after difference! This stuff seriously fills in the gaps and provides good setting power! It comes in two shades: light/medium or medium/deep. I obviously got medium/deep.